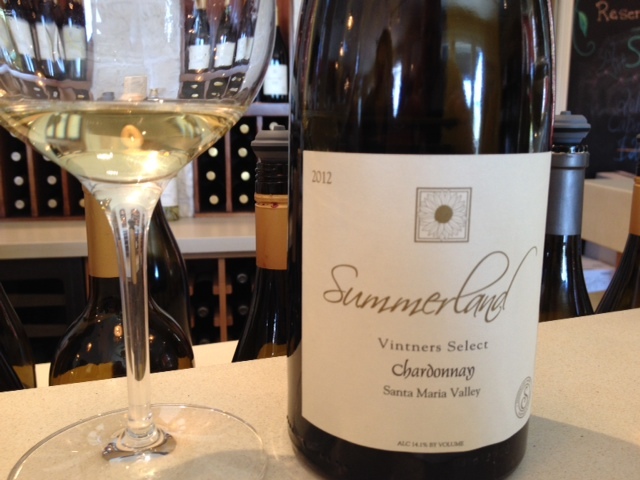 While visiting Santa Barbara, I had an opportunity to do a tasting with Summerland Wine. 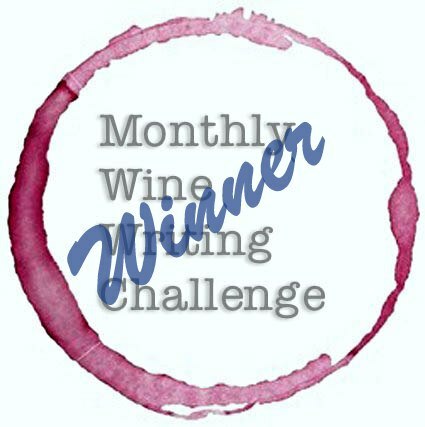 Winemaker Etienne Terlinden seems to be quite busy, as they already have six wines from 2013 that include an orange muscat, a sauvignon blanc, a grenache rosé, a viognier, two pinot noir, a syrah, and a cabernet sauvignon, each of these wines is made from local grapes sourced from either Montery, Santa Barbara, or Paso Robles. 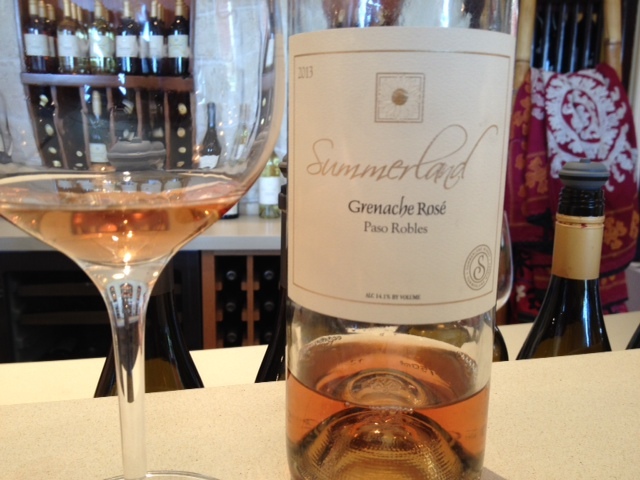 In addition, they have a library of vintages from 2006-2012 that includes several single-vineyard chardonnay and pinots, a sparkling, and zinfandel. Here are some shots from my tasting, more notes are below! 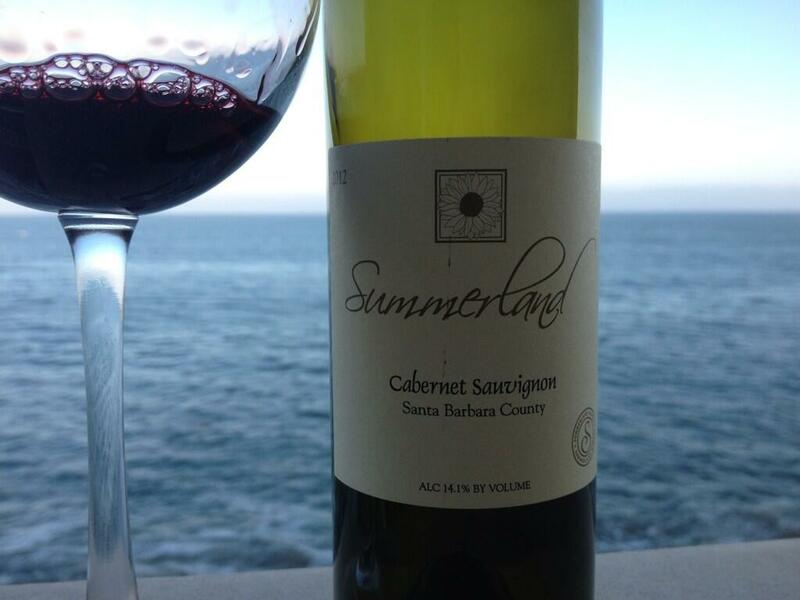 Summerland Cabernet Sauvignon, Santa Barbara County, 2012. Deep purple color with violet edging. Nose of blue and black fruit, the scent of alcohol burns off with more exposure to air, revealing vegetation and fresh cedar. In the mouth, the cab features boysenberry, blueberry, and black cherry fruit along with notes of dark chocolate, licorice, and a hint of potting soil on the upper and back palate. The nice, lingering finish is one more element of this wine that complements food well. 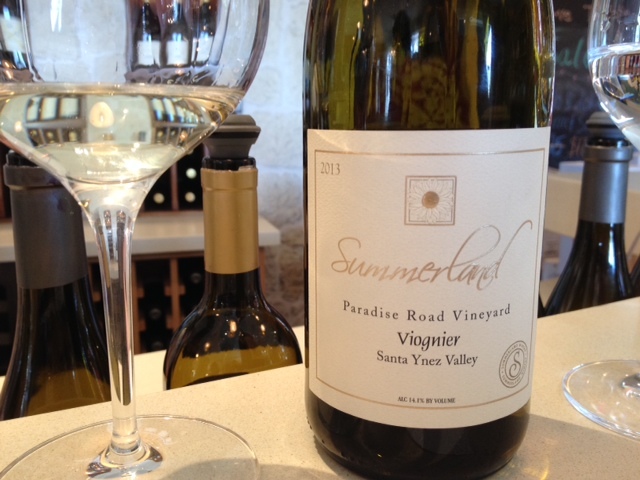 Note: all of the Summerland wines have high alcohol content, the cab is no exception with 14.1%ABV. 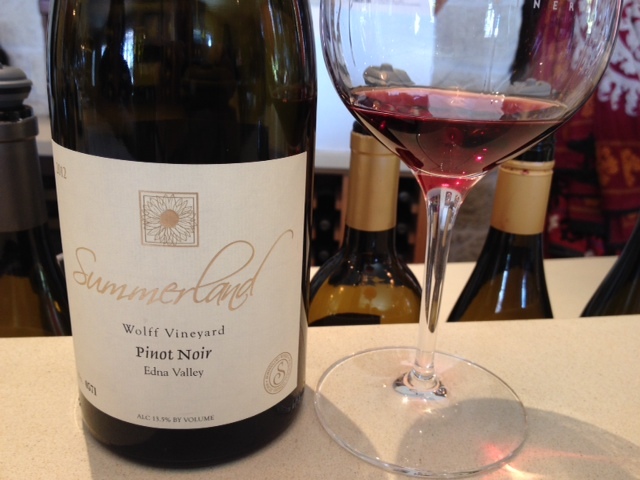 I was also impressed by two other wines, the 2012 single vineyard pinot noir from Wolff Vineyard, as well as their 2012 “Trio”, a mix of syrah, grenache and mouvedre grapes, which is Summerland’s take on the classic Rhône style wine. Summerland has a little of something for everyone, it seems. I’d love to see their Cab or Trio in a 3L large format bottling, which seems to be popular for their single vineyard pinots. 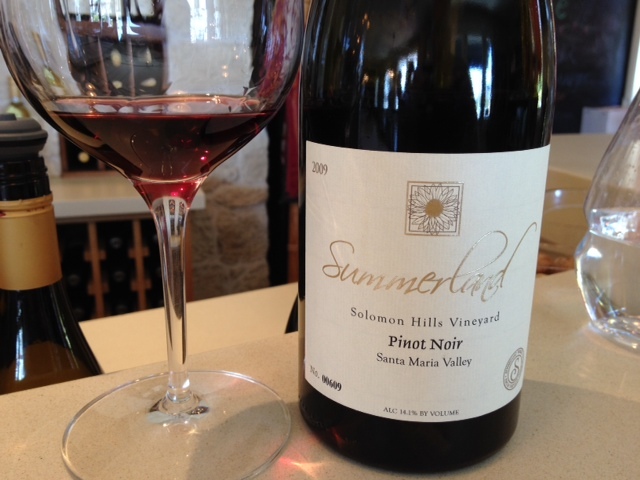 A note for pinot lovers, I much preferred the older vintages I tasted, -they felt settled, while younger vintages seemed like they still needed time to blend- so age may be a determining factor in your enjoyment. YMMV.